In football, there are a number of arguments that really annoy me. One of the big ones is the idea that where you come from geographically somehow dictates whether or not you’re a ‘proper’ supporter of a football club. We’ve all heard people saying that the opinions of Scousers are more important than those of out of towners, which is about the most ludicrous thing I’ve ever heard. I’ve been on the Kop and heard Scousers spend most of the match slagging off every player whilst not even watching the actual football before then getting off on eighty-five, much as I’ve been next to out of towners who sing all of the songs and support the team passionately for ninety minutes. Neither are indicative of the wider group in any way. Bored with the locals/ wools arguments. Honestly there are scousers who don’t give a toss about football and out of towners who are passionate Reds that get behind the team. Good and bad in both. Those that are obsessed with net spend will look at Liverpool and say ‘our net spend is £15 million in profit!’ or whatever, without taking into account that you receive money for outgoing players. Here’s why I think net spend will always and forever be a stupid argument: If we’d kept Benteke, Sakho, Ibe, Allen and Kevin Stewart we’d be roughly £88 million more in the red than we currently are. The net spend lads would be delighted we’d spent so much money. But we’d also still have Benteke, Sakho, Ibe, Allen and Kevin Stewart on our books. They’re bang average players that were never going to play in a Jürgen Klopp team, so why on earth would people be so keen on keeping them? When it comes to transfers, the only thing that matters is what the squad looks like when the window shuts. I honestly don’t care about the players that have left the club, they don’t interest me at all. How will the team line up when football matches are going to be played? Does it look good? Are there positions that we need to fill? If so then let’s get them filled. If not, why would it possibly matter how much money we’ve spent? Would supporters preferred it if the club overspent on the players that they bought in order to ensure that our net spend is high? It’s an idiotic argument and one that I’ve got absolutely no time for. All summer long I’ve been saying that things will hot up once the World Cup ends. The Premier League’s bizarre decision to shorten its own transfer window means that things feel a little bit like they’re going to reach fever pitch over the next week or so, but how much will Liverpool be involved? There has been one confirmed signing since last week, one player signing a new contract and one lad who will almost certainly be a Liverpool player by the time a publish this piece, so I’m going to roll the dice and include him in this section of the piece. Don’t blame me if it then falls apart, I’m not that powerful. The rumour that the Reds wanted to sign Xherdan Shaqiri from Stoke City began almost as soon as the season ended and the Potters were relegated. The fact that the Swiss international had a release clause of about £13 million certainly helped to make his arrival more likely given that that’s buttons for a decent attacking player who has experience playing for such European stalwarts as Inter Milan and Bayern Munich. No, things didn’t necessarily work out for him with either of those clubs, but they weren’t managed by Jürgen Klopp, so that’s kind of irrelevant. The manager has history of keeping tabs on players that he likes, so it’s no surprise to see him refer to the move as a ‘no brainer’ once it went through. The interesting thing is going to be finding out how often he’s going to play. Many people are looking at him as though he’s nothing more than a squad player who will come in when the big boys need a rest, but I wonder if Michael Edwards and his crew are viewing him that way? Certainly they didn’t agree with most supporters who felt that Mohamed Salah was arriving as backup for Sadio Mané, so might Shaqiri have a bigger role to play than we’re all thinking? The answer to that, you imagine, will lie with the player himself. He didn’t do enough for either Inter or Bayern to be kept around, but he was always a big fish in a small pond for Stoke. The good news for us is that if he becomes the player that he believe he is then we’ll have one hell of a forward on our hands. If he doesn’t, it’s about as risk-free a transfer as you can get. The superstition around football is something that I have simultaneously bought into in the past and yet also do not understand. There’s no question that I’ll get messages from people abusing me for putting Alisson Becker in the ‘Ins’ section should the transfer go on to fall apart, but I’m no more guilty of doing anything worth criticising than Dejan Lovren is when he gives a confident interview ahead of a match. At least with Lovren he’s actually involved in the game so criticism has some basis, whereas people on the internet really can’t ‘jinx’ anything, no matter what people say. When Nabil Fekir failed his medical it was because of a quick-fix operation years ago, not because @DaveKopite1892 tweeted out the photo of his club interview. Monchi: “We haven’t finalised anything yet [with Alisson]. But it is true that the negotiations are advanced and he’s over in Liverpool now. Barring something mad happening in the medical this time around, Liverpool will announce the signing of Alisson Becker from Roma either later this afternoon or tomorrow. It’s a ‘world record fee for a goalkeeper’, but that’s slightly misleading. The work of Paul Tompkins and The Tompkins Times shows how football inflation works differently to inflation in other areas of life, meaning that Alisson’s price is more closely aligned with the signing of Tim Flowers by Blackburn in the 1990s. Add into the fact that we may well end up getting in the region of £30 million for our current crop of shot-stoppers and that looks like very good business indeed. At a time when goalkeepers are something of a premium, getting in one that performed in the top bracket of ‘keepers around the world last year and fits our system well is ideal. I’m not going to go into too much detail about Rhian Brewster, given that I wrote about him more fully a few weeks ago. However, given the lad is highly thought of by Jürgen Klopp and signed a professional contract with the club this week, it’s only right to mention him briefly here. The youngster is one of the most exciting talents on our books, being spoken of by those in the know in terms not too dissimilar to that of Raheem Sterling when he was first breaking through the ranks. Klopp is a man that knows how to develop players, that much is clear. That he mentioned Brewster when he recorded a video of Mo Salah’s Player of the Year celebration shows you how highly he rates him. If he continues to develop along his current trajectory then Liverpool fans might find themselves getting just as excited about him as we are our current front three. This piece of news has largely been forgotten in the excitement of the Alisson transfer, but it’s absolutely worthy of remembering for the years to come. He’s out injured right now, but I expect him to feature once he’s back and fully fit. 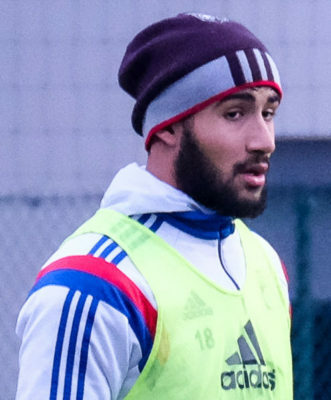 The most amusing thing about Nabil Fekir is that the only person who keeps brining his name up is the Lyon Chairman Jean-Michel Aulas. The Reds are briefing the press that we’re no longer interested in him, but I’m not sure that that’s anything other than a negotiating stance and a misdirect. After all, we’ve needed a new number ten since we sold Philippe Coutinho and we were interested in Fekir enough to agree a fee, so why would we suddenly decide we don’t want him and won’t be looking for an alternative? The only sensible answer I can think of, other than ‘it’s nonsense and we’ll still sign him’, is that Daniel Sturridge has been making references to training in a ‘new role’, so maybe that’s what Klopp’s got in mind? I do think that we’ll still end up signing Fekir and Lyon seem to think so too, reportedly giving the Reds a two week deadline to get the deal done. Klopp, meanwhile, has said that he doesn’t want to be making any signings after the club leaves on its tour of the US. We’ll see. 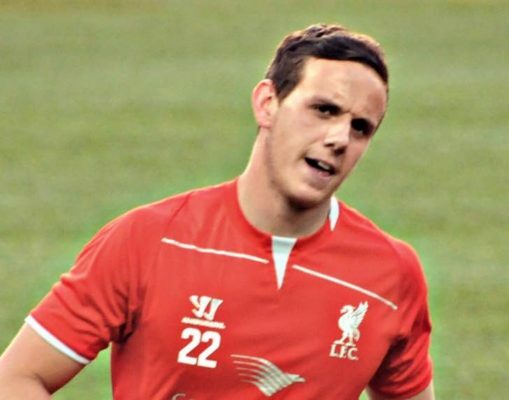 Is Danny Ward’s position as ‘Liverpool’s number one’ the shortest lived in the club’s history? Just as we get used to the idea that the Welshman might be given his chance to impress and take over as our first-choice goalkeeper, rumours emerge that that he’s off to Leicester City for £12 million. Some in the press are saying it’s to give Kasper Schmeichel some competition, others that he’ll replace the Denmark international who might be off to Roma. From a Liverpool perspective, the most important thing is that he’s not going to be our number one. I don’t dislike the lad, but given he only played one game for us last season when the world was crying out for us to give someone else a shot, I’m not convinced that he’s good enough in the long-term either. Too many were simultaneously saying that neither Loris Karius nor Simon Mignolet were good enough whilst also suggesting that Ward should be given a chance. That rumours kiboshed now and that might spell interesting news for Karius as a number two…. It’s all starting to kick-off. Our squad is looking really tasty, so I wouldn’t be surprised if we start to move on some of the dead wood over the next fortnight.